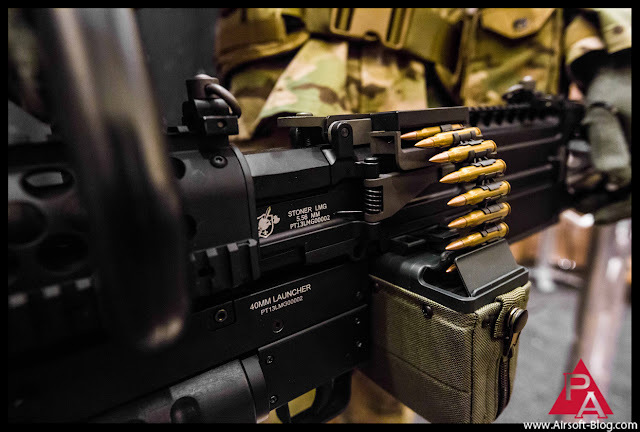 Some of you may be asking, "What in the name of Airsoft is that beautiful beast pictured above?" Some of you may already know. 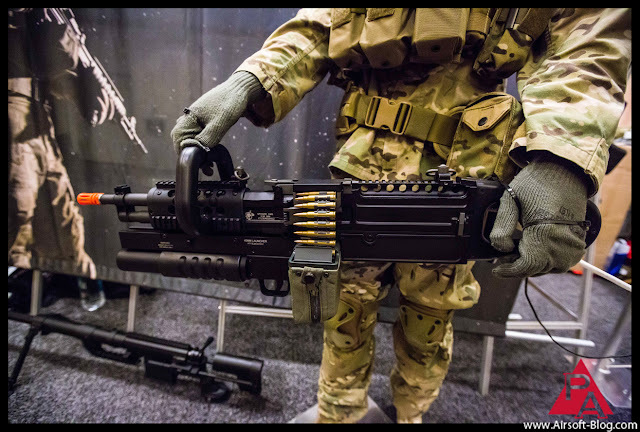 For those that don't, that is the Ares Knights Armament Co "Chainsaw," which is an evolution of the Ares Knights Arm Co LMG. This incredible masterpiece of winning was debuted at the Zshot/Ares booth during Shot Show last week. This will actually be available to consumers at some point, possibly this year. The price point on this hulking specimen of premium CNC aluminum and testosterone will likely be up in the stratosphere, so it's safe to say this is not something that will be brought to the masses. However, for the discerning Airsoft collector, this will be a must-have. Wallace Lau, head honcho at Z-Shot, did inform me that they're "trying to keep it under $1000." Look for more updates on this later in the year.